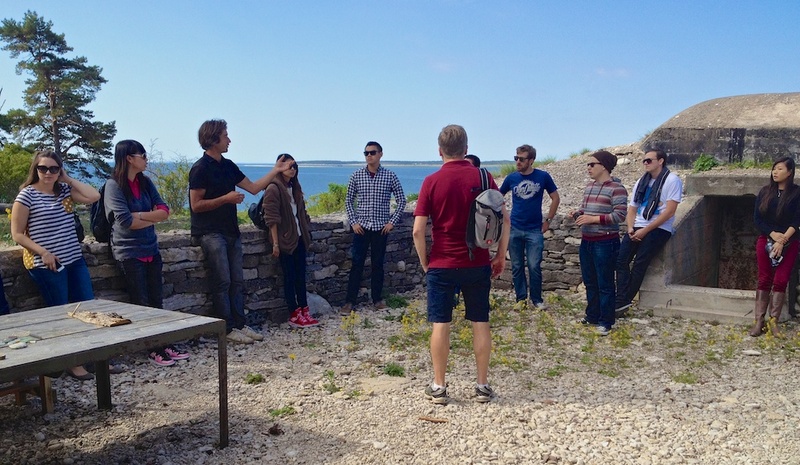 I had the pleasure to welcome sixteen students from Chapman University, Orange County California, to Gotland. They are on the tour Business in Scandinavia led by Niklas Myhr and Clas Wihlborg. They started in Stockholm, then came to Gotland for two days (June 6–8), are now in Gothenburg and will end their tour in Copenhagen. 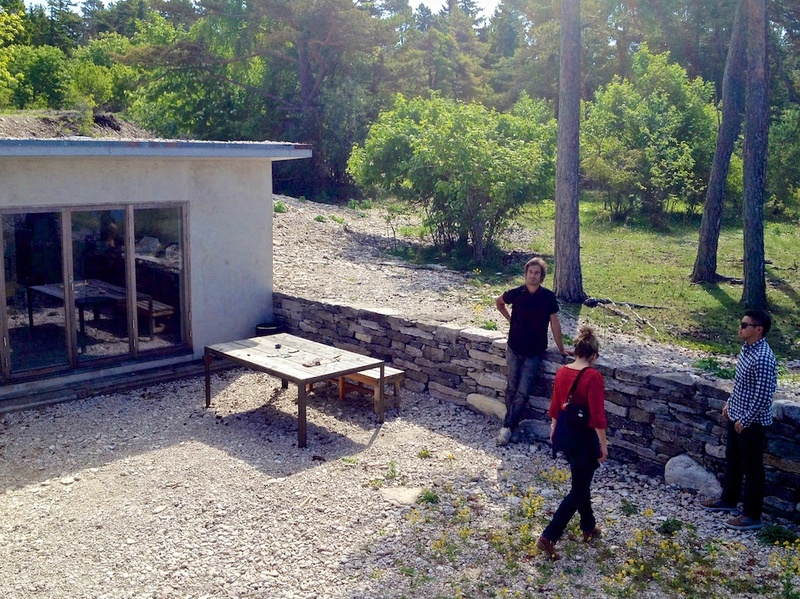 I wanted to give them a specific Gotlandic experience and planned a tour around the north of Gotland with the theme Limestone, because limestone is affecting life and business on Gotland in several ways. 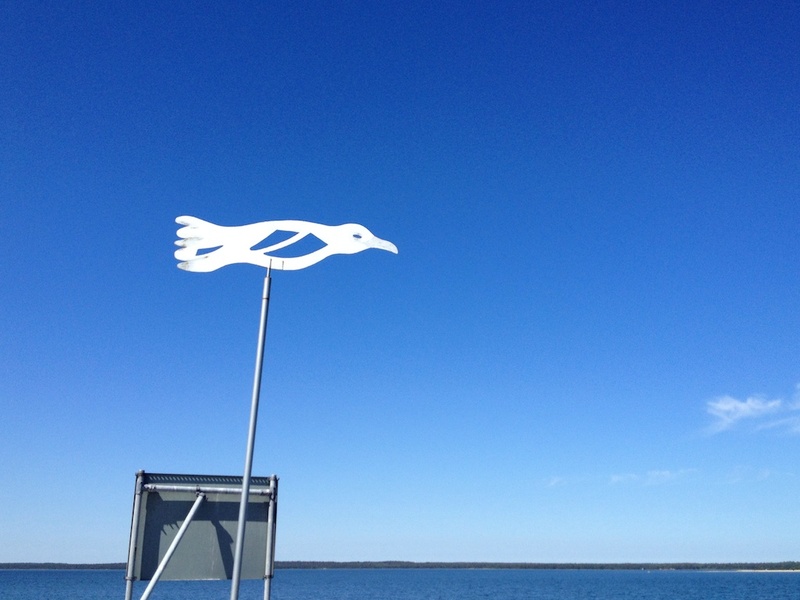 We started at the peninsula of Bungenäs. It has a history with a big limestone quarry but then the Swedish army decided that they needed the area for military training and for many years it was closed for civilians. Today the area is owned by Joachim Kuylenstierna and the architect Daniel Heilborn is planning to build 100 houses in a way that harmonizes with the nature both in it’s looks and the materials. Cars are not allowed on Bungenäs but they have bikes you can use. Daniel guided us around the peninsula. On the top of the hill there’s a house that you can’t see from below. That’s according to his philosophy with not harming the experience of the nature. Even if he wants to build a lot of houses here, he wants everyone to feel that they are welcome to walk around freely and enjoy Bungenäs. Here you can see part of the first house the built on Bungenäs. Only using raw materials as wood, stone and concrete. Every house has to follow a strict set of colors. In the other end of the house’s ”garden” is an ex-military bunker which now can be used for civil purposes. You can also see the wonderful view that comes with every house on this peninsula! Here is the view once again. We are walking downhill back to the bicycles. 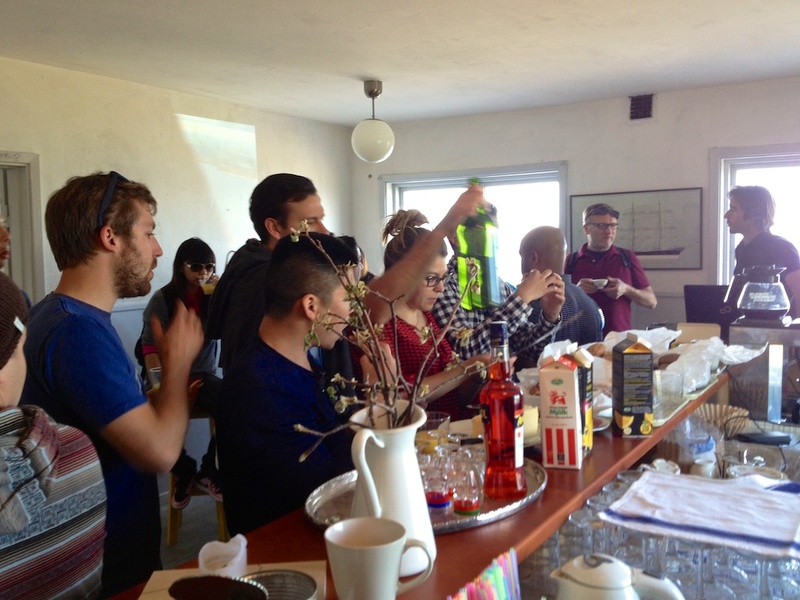 In Bungenäs Matsal Daniel served coffee and tea while showing us pictures and telling the story about Bungenäs from the old days until now and also their plan for the future. 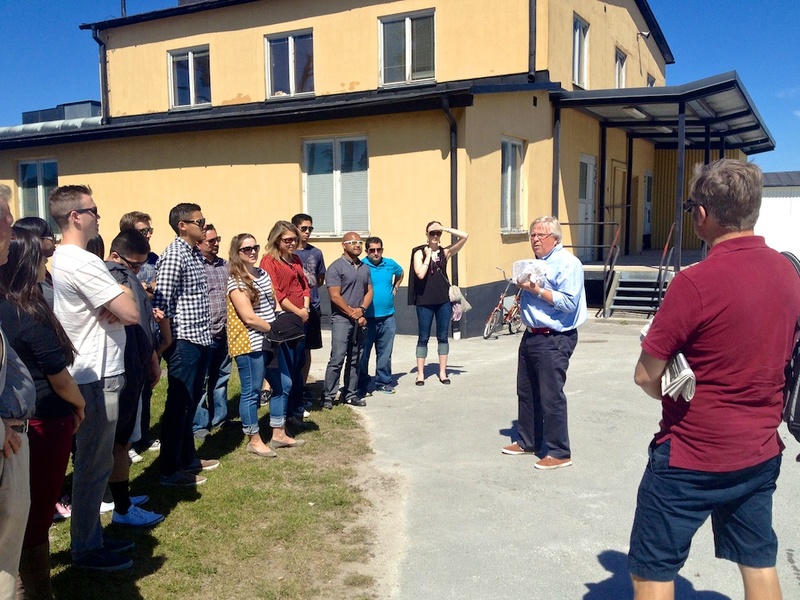 We went to Kustparken, Fårsösund and ”happened to meet” Esso (Sven-Olov Eriksson) who talked about what’s happening in Fårösund, how the military area now contains a lot of companies and he also explained their project Provgute which is a way to let people come and try to live on Gotland living in houses that are empty while there are not so many tourists here, September to May. We had lunch with this nice view! Salmon with asparagus. I think everyone was hungry after all the cycling. When the bus drove into Slite we stopped to picked up Lena Celion who ”happened” to stay by the road. She’s the Vice president of the Regional Excutive Board and lives in Slite. 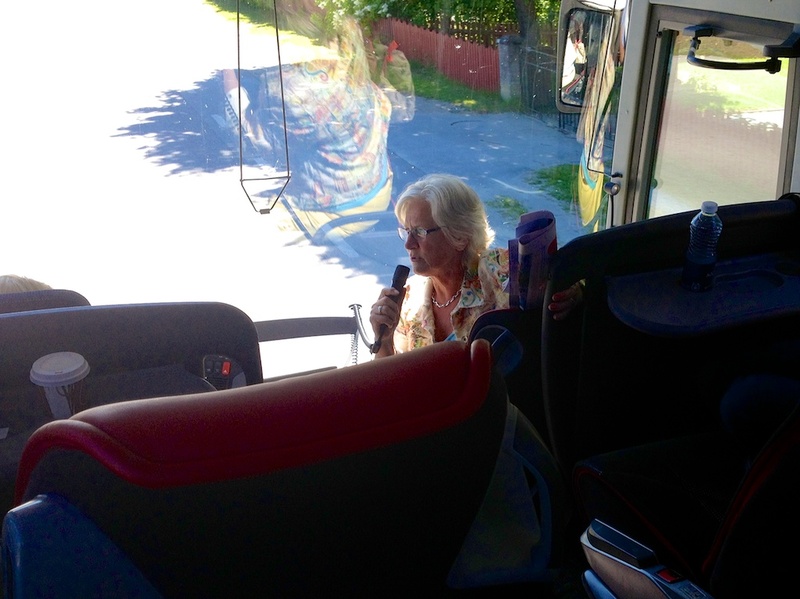 She guided us around Slite and talk about modern concrete industry (Cementa), a concept for buying and renting out cottages (Drömstugan) and the Russian gas pipeline (Nordstream). 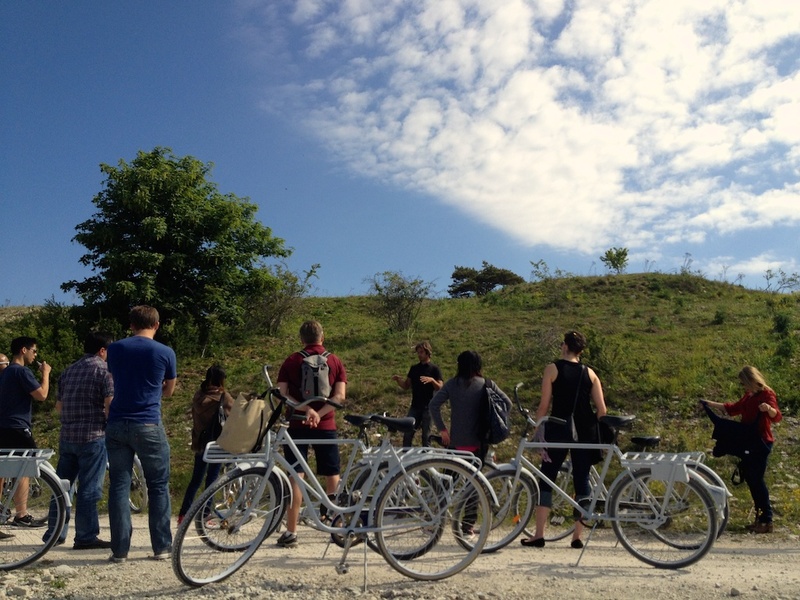 Our last stop was Skulpturfabriken in Boge. 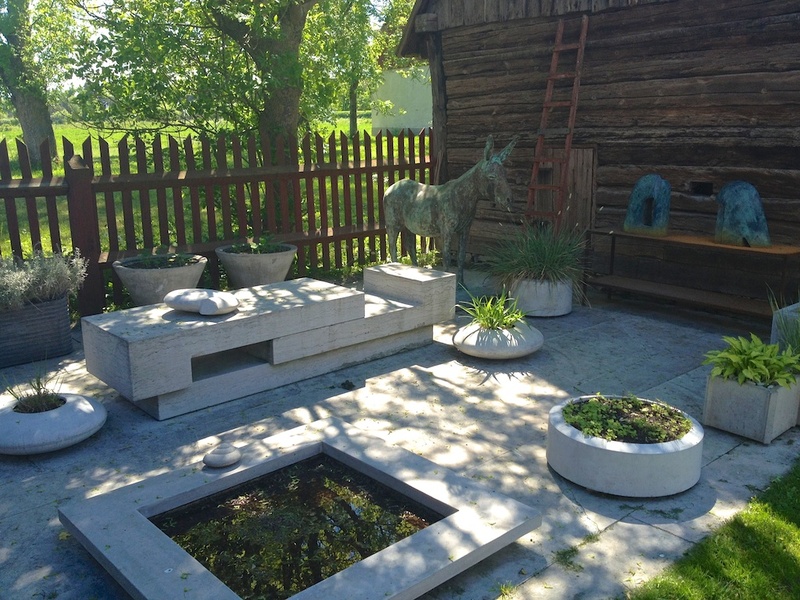 The founder and designer Stina Lindholm talked about how she got an interest for designing items for the garden in concrete and how it has developed to a well-renowned business. As you can see, Stina creates beautiful design! That was the end of the tour. 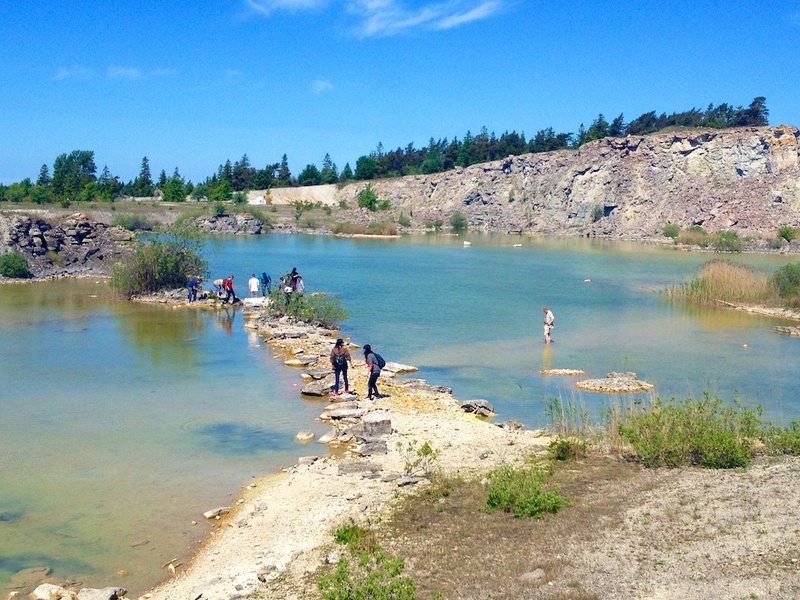 Now the students are in Gothenburg and I hope they enjoy themselves but that they never forget their visit on the island of Gotland. 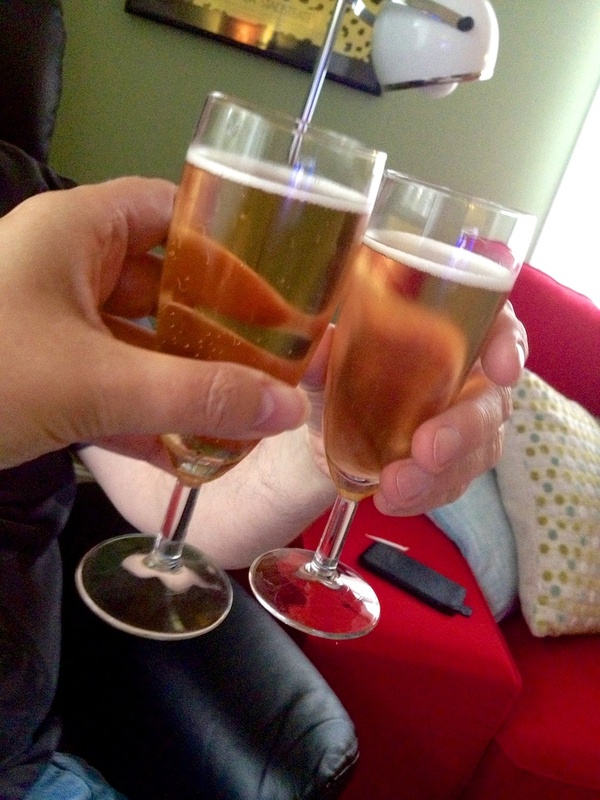 Stenstrominfo has got our first job in California! Yesterday evening the deal was set: Stenstrominfo are going to create a homepage for Bender Optometric Group in California. Stenstrominfo is a small company in Sweden. 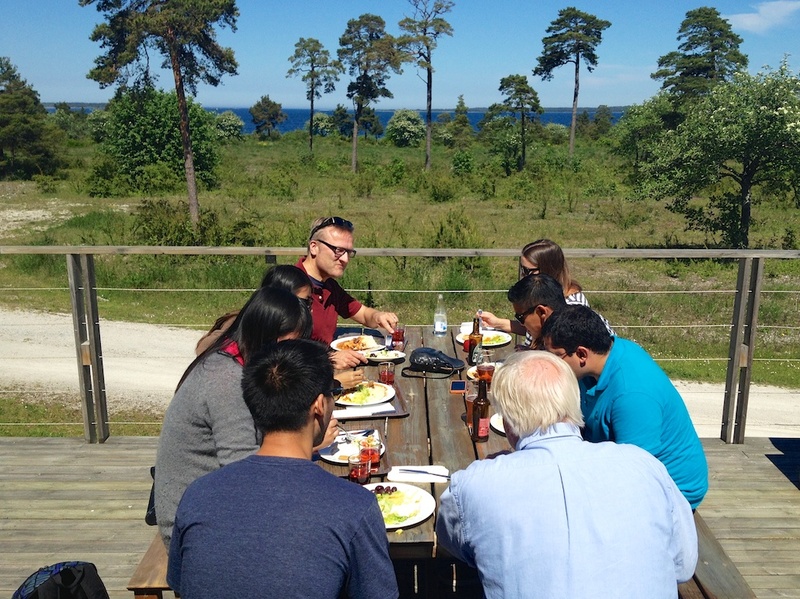 Actually, we live and work on Gotland, Sweden’s biggest island right in the middle of the Baltic Sea. How come we got a job offer from California? Well, we know Professor Niklas Myhr who lives in Orange County and he has acted like our sales agent. He asked if we wanted to do jobs in California and of course, it would be an interesting challenge! You might wonder what a small company in Sweden can offer a company in California? We asked ourselves the same question, I mean, the art of building home pages was born in California, wasn’t it? So, what is it that we do better? I’m not sure about the answer but I think that we work closer to our customers on Gotland which means we really care about the result. It’s very embarrassing to fail when everyone on an island knows who did the job… Also, we have developed a way to work which is based on trying to find a company’s personality, heart and soul. I have seen a lot of good home pages made in USA, but I have also seen many home pages that are more like a newer version of the telephone book – neither hot nor cool. We are very proud that we have got our first job in California and we hope that we will get the chance to get more customers in USA or at other places in the world. http://www.asastenstrom.se/middleof/wp-content/uploads/sites/4/2013/05/IMG_2250-1-.jpg 1024 768 Åsa http://www.asastenstrom.se/middleof/wp-content/uploads/sites/4/2015/03/asainthemiddle1.png Åsa2013-05-28 20:47:002015-03-21 14:11:18Stenstrominfo has got our first job in California!